While the finale of the Tampa road trip article and footage is being worked on, I thought I would go ahead and post this up. 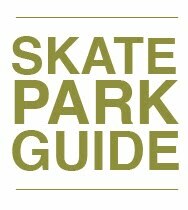 Wadsworth park is an interesting diversion if you are heading down south from Jacksonville and want to take a break and find a place to skate. 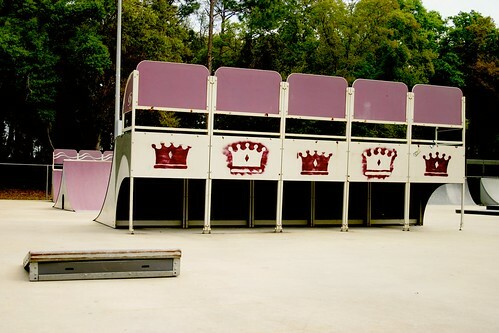 I wouldn't say it's end destination worthy, but a fun park with some cool street stuff. I had some heavy criticisms for it, and it has it's flaws, but nonetheless, it's at least worth the admission price. Which is free. Not too far off of 1-95, just before you get to a bridge going toward the beach. Warning, some of these images are repeats from two posts back - but for the sake of the guide, I'm leaving them in. This park is a large pre-fab park much like the racetrack road park. Some fun obstacles, but with some slippery surfaces and an awkward miniramp. Writeup can be found in the road trip article here.